Britney Spears at the American Music Awards from 2001. We'll file this under Britney can pull off any outfit too. Brit attended the awards with Justin Timberlake in matching denim outfits. 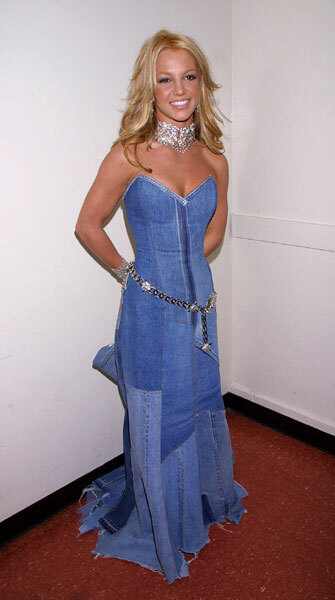 Britney is still the most beautiful woman in the world, even clad head to toe in denim. I love you, Brit!! !